The LSE Women: making history Library series highlights women’s stories from some of the archives and special collections held at LSE Library. Curator Gillian Murphy shares the story of one of her favourite archives in the Women’s Library collection: that of Vera ‘Jack’ Holme. She was a militant suffragette, chauffeur to the Pankhursts, cross-dressing actress and aid worker. This post uses photographs from her archive to chart her life. 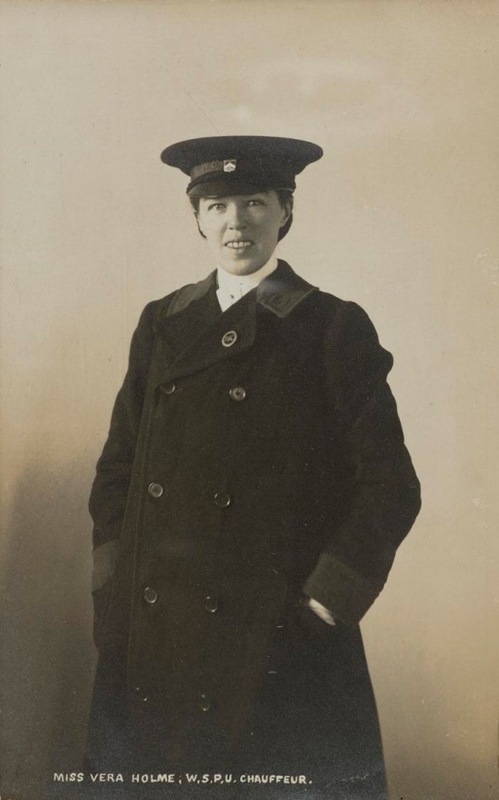 Vera Holme (1881-1969) – known as Jack or Jacko – was the daughter of a timber merchant and grew up in Lancashire. She remained close to her brother Gordon (who named his son and daughter, Vera and Jack, after her). 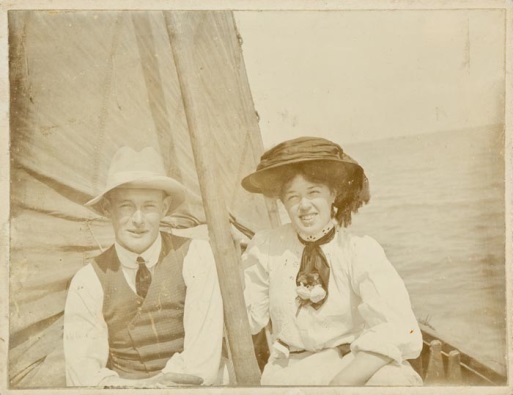 Here’s Vera with her brother, Gordon, in about 1900. At the age of 22, with only a small and erratic allowance from her father, Vera was forced to earn her own living and she chose the work of an actress and singer. This theatrical publicity picture shows Vera in a suit and tie, performing one of her cross-dressing music hall acts. Her stage name was Jack and this is probably the origin of her nickname. Vera joined the Actresses’ Franchise League and joined a group of singing suffragettes who performed at the gates of Holloway to boost the morale of suffragette prisoners inside. She also joined the Women’s Social and Political Union (WSPU). Jack Holme is in the front on the left with other members of the WSPU in 1909. Jack was arrested for obstructing police at a suffrage rally and was imprisoned for five days in Holloway. She had an important role to play in the suffrage movement as chauffeur to the Pankhursts, leaders of the WSPU. During the suffrage period, Jack began an important love relationship with Lady Evelina Haverfield that lasted until Eve’s death in 1920. Unfortunately no love letters have survived and their relationship must be pieced together from what has survived, such as a single love poem from Jack to Eve. 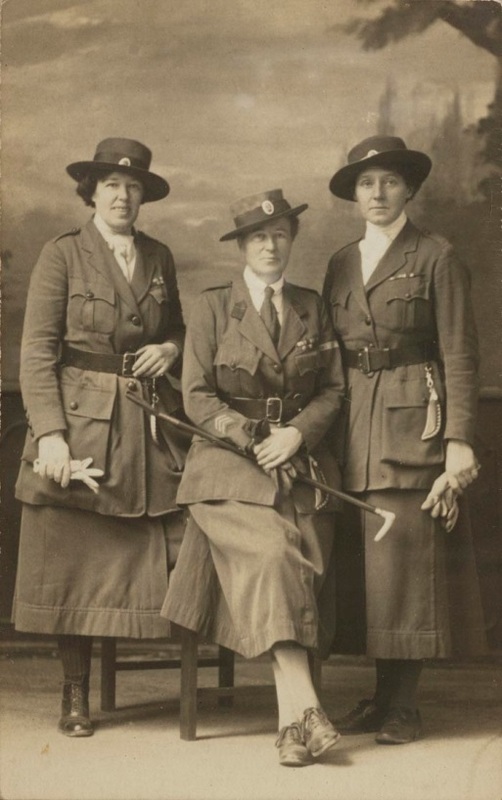 In 1915 Jack and Eve joined the transport wing of the Scottish Women’s Hospital unit. They were sent to Serbia where Eve was head of the transport unit and Jack was an ambulance driver. This is a photograph of Jack on the left and Eve sitting. They are wearing their Scottish Women’s Hospital uniform. During 1918, Jack’s relationship with Eve had cooled and Jack began an affair with Scottish artist Dorothy Johnstone. 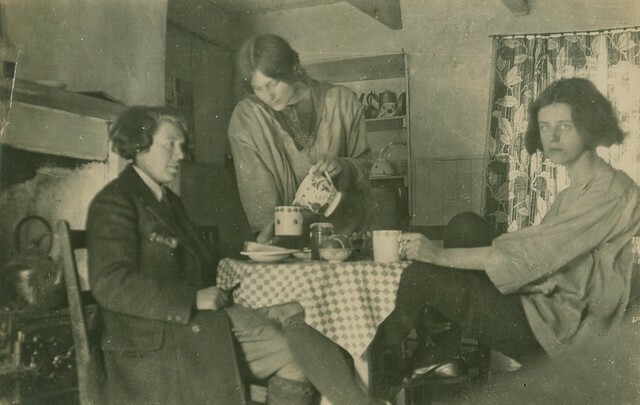 During 1919, Jack spent time with Dorothy and other artists in Kirkcudbright, Scotland. Into later life, Jack became involved in her local Women’s Institute. She died in a nursing home in Glasgow in 1969, aged 88. There is probably more to discover about this interesting woman from the diaries in her collection. For more information about Jack, read Anna Kisby’s article, Women’s History Review, 2 January 2014, Vol.23(1), p.120-136. 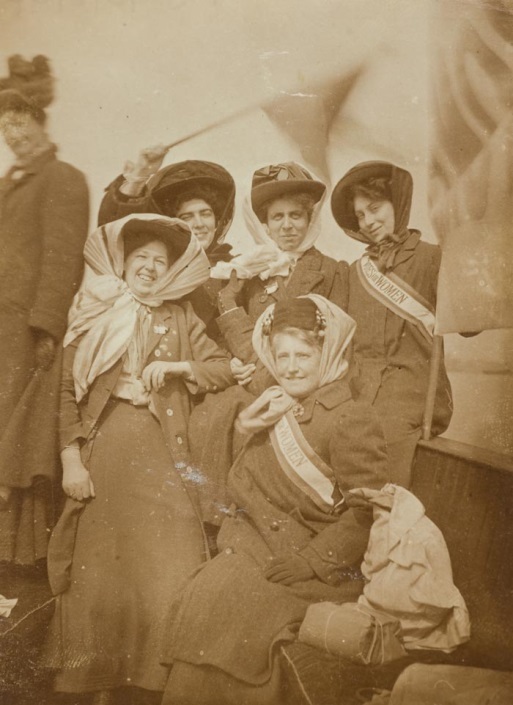 For more information about suffrage sources at the Women’s Library, read this guide.